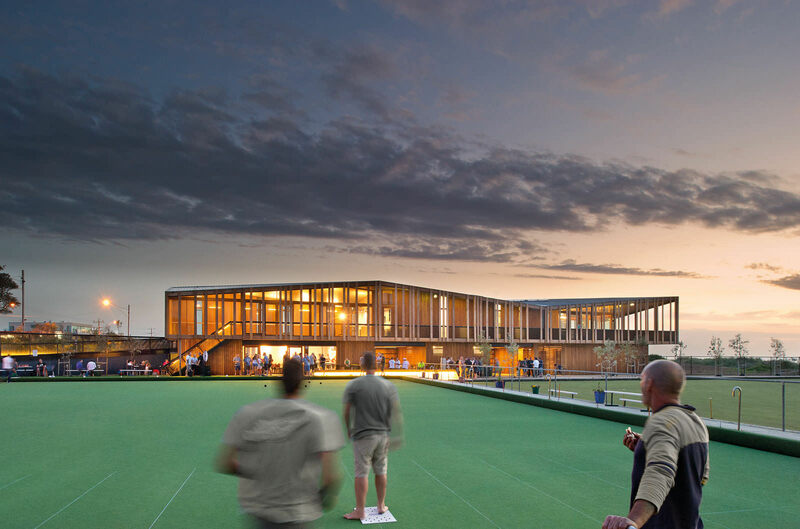 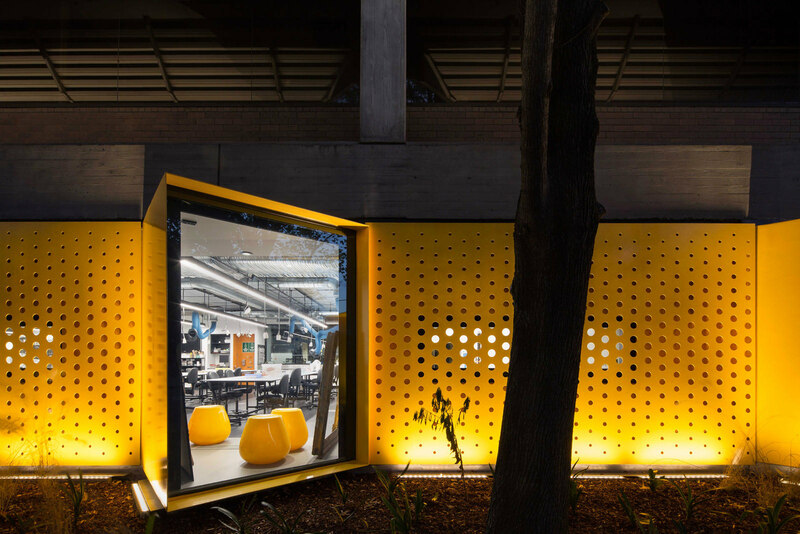 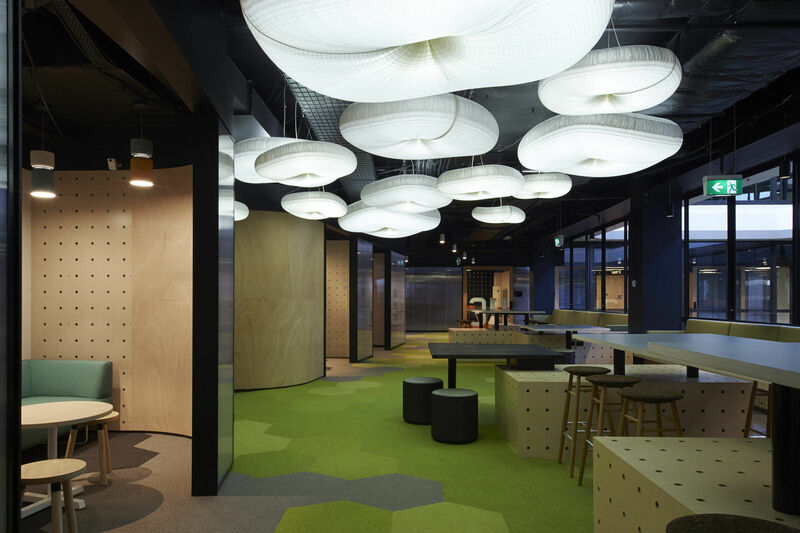 The redevelopment of three tired Monash University buildings at the Clayton became an opportunity to better integrate the buildings into the campus public realm, while creating new informal and engaging learning hubs. 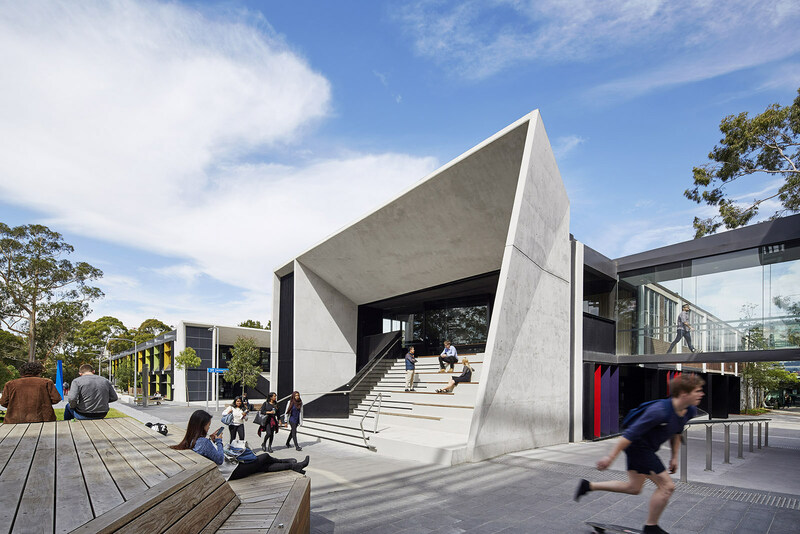 The main campus intersection is reinforced with a formal gesture of folding and twisting concrete canopies, along with a theatrical set of stairs and seating platforms. 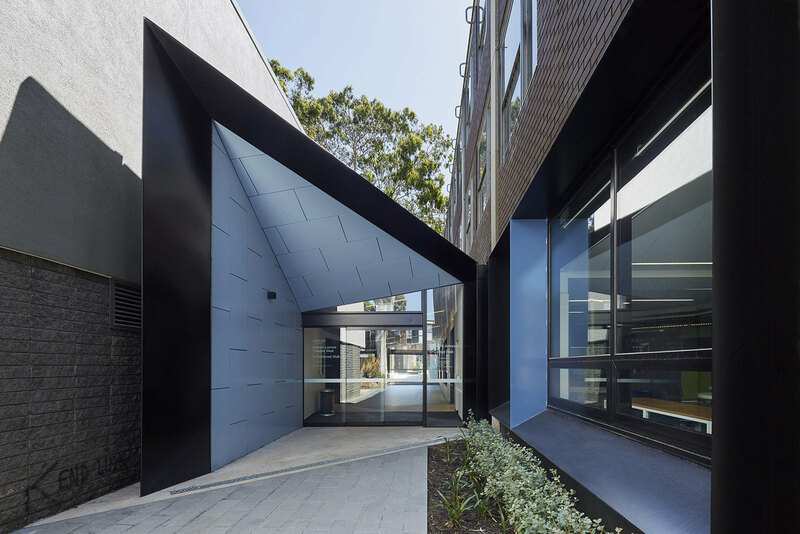 Steel shading loops and coloured fins are introduced to enhance the existing structural rhythms of the buildings. 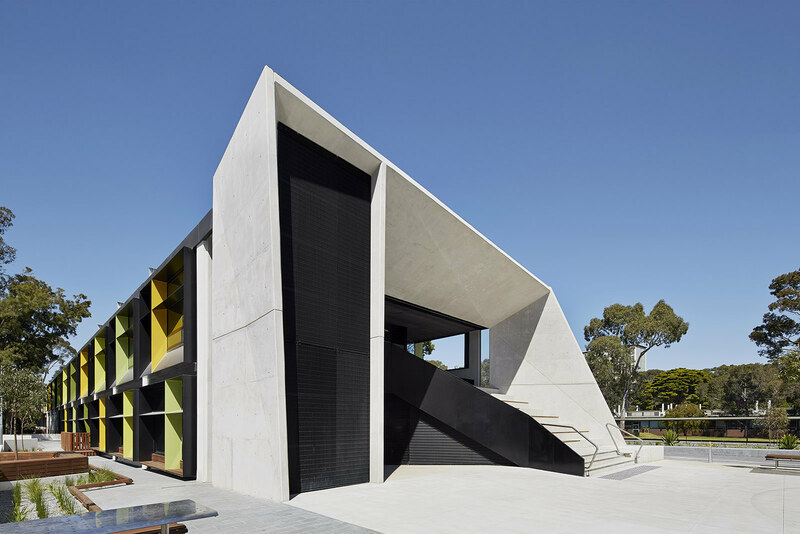 The concrete canopies offer access to the upper level spaces while allowing for moments of congregation, observation and contemplation all from sheltered steps. 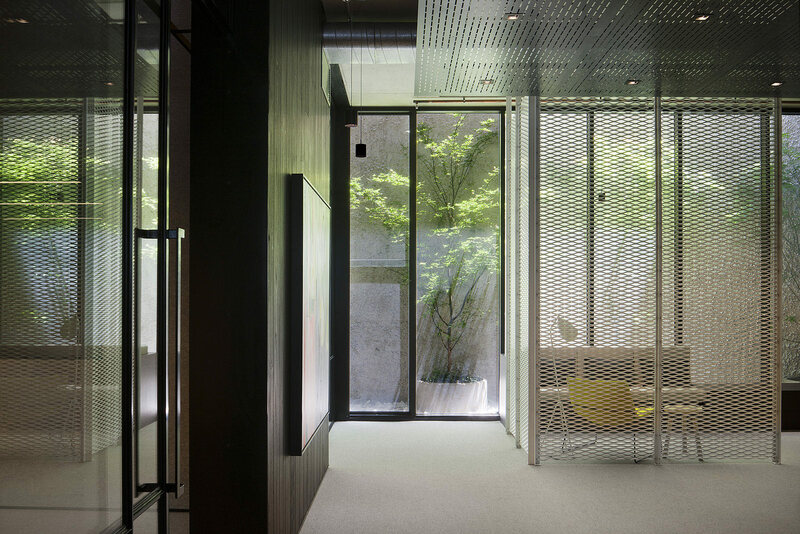 Once inside, the upper levels take the existing central corridor and perimeter offices, and turn it inside out. 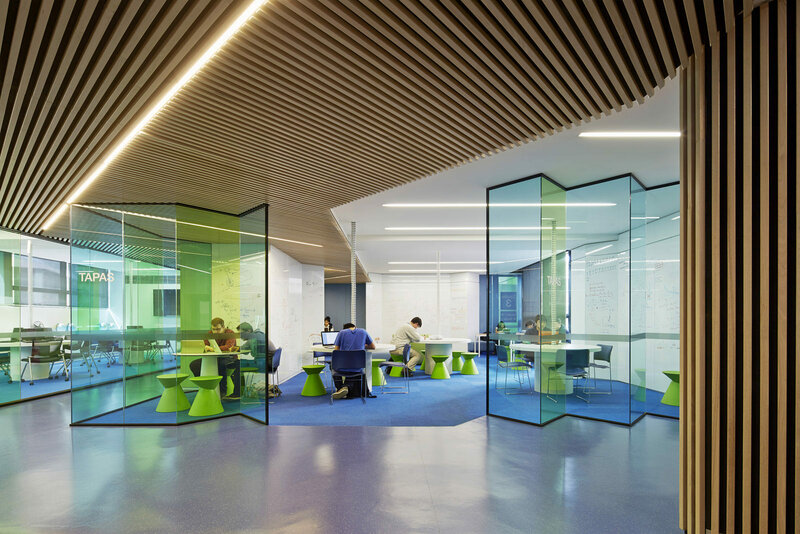 New circulation runs along north and south facades, while open plan office areas, meeting rooms and ancillary spaces have been arranged in bays through the centre of the plan. 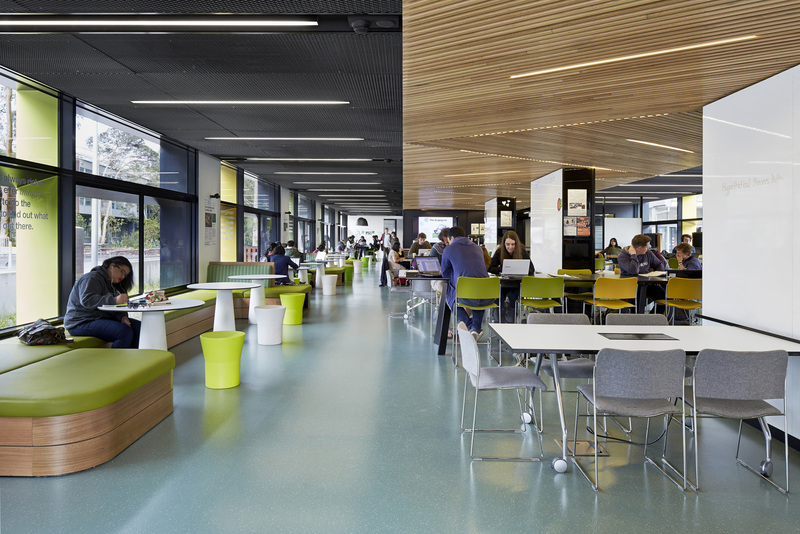 Themed interiors and informal furniture are used to de-institutionalise interior spaces, such as a sculptural Student Services Desk and informal lounge seating areas. 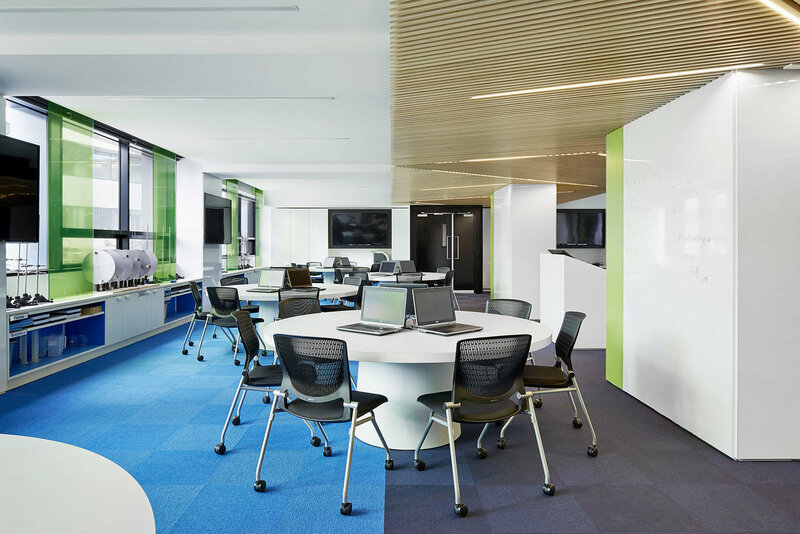 Work desks are designed for self-directed study or collaborative activities, while an array of writable surfaces encourage group learning. 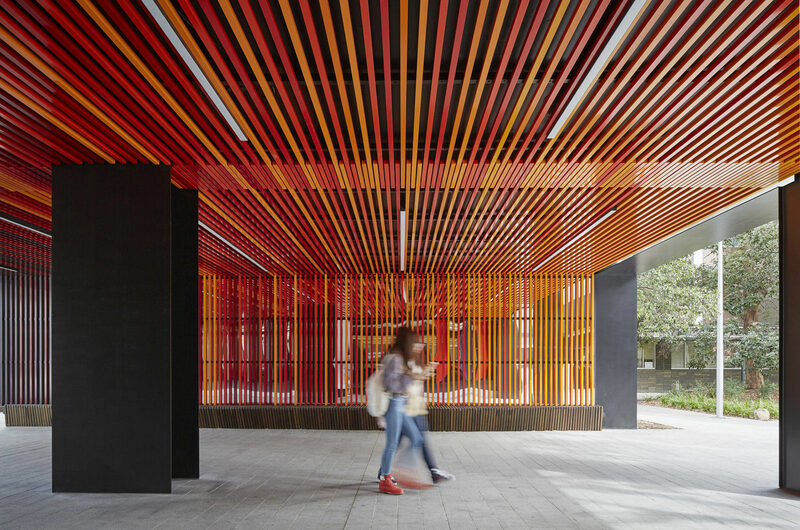 The project enhances the campus public realm while breathing new life into old buildings.